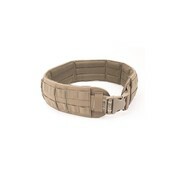 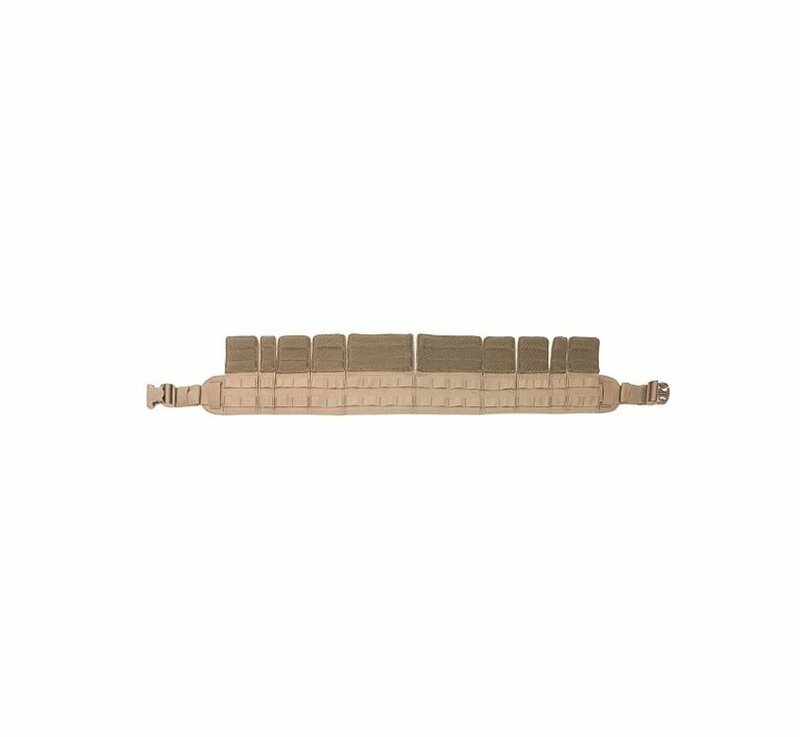 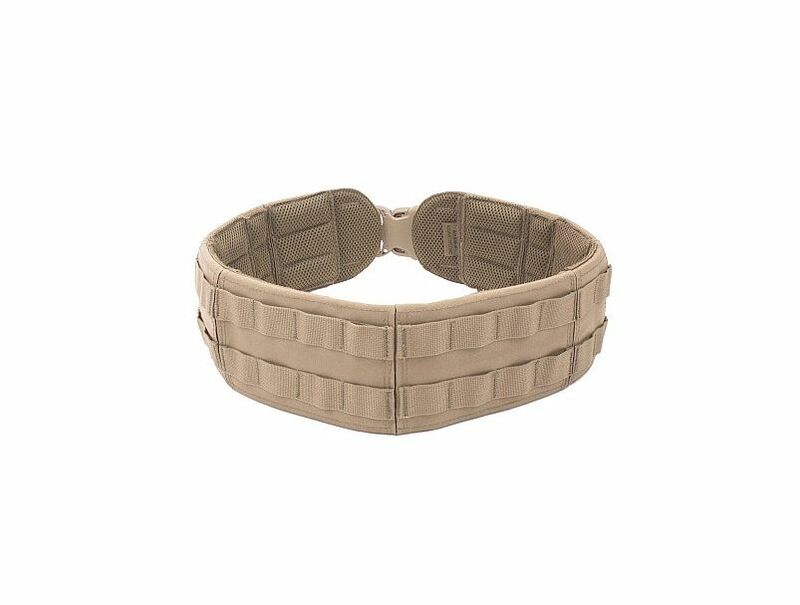 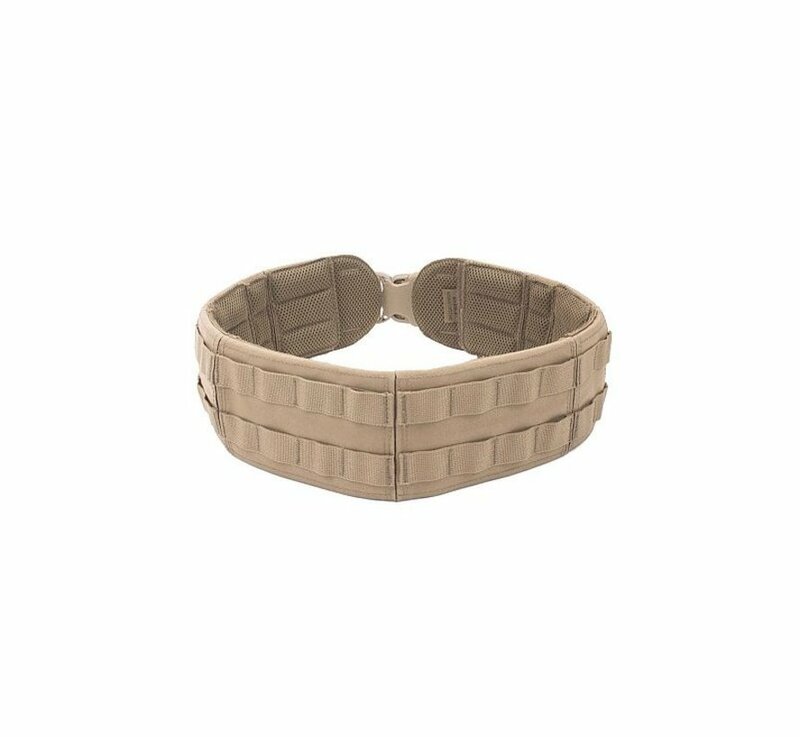 Warrior Assault Systems Gunfighter Belt (Coyote Tan). Warrior’s Gunfighter Belt is a MOLLE based padded belt designed to carry direct action gear and has been specifically designed to carry all forms of holsters and drop legs. The unique feature of the Gunfighter belt is Warrior’s panel system which covers the belt in a variety of sizes. 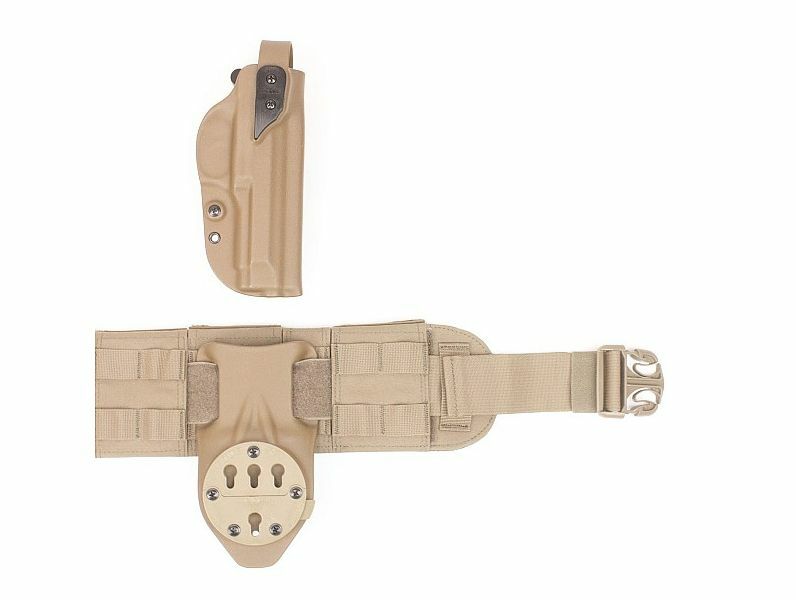 Each panel is removable and can be interchanged to allow holsters and droplegs to be placed in the ideal position for the operator to maximize draw action. 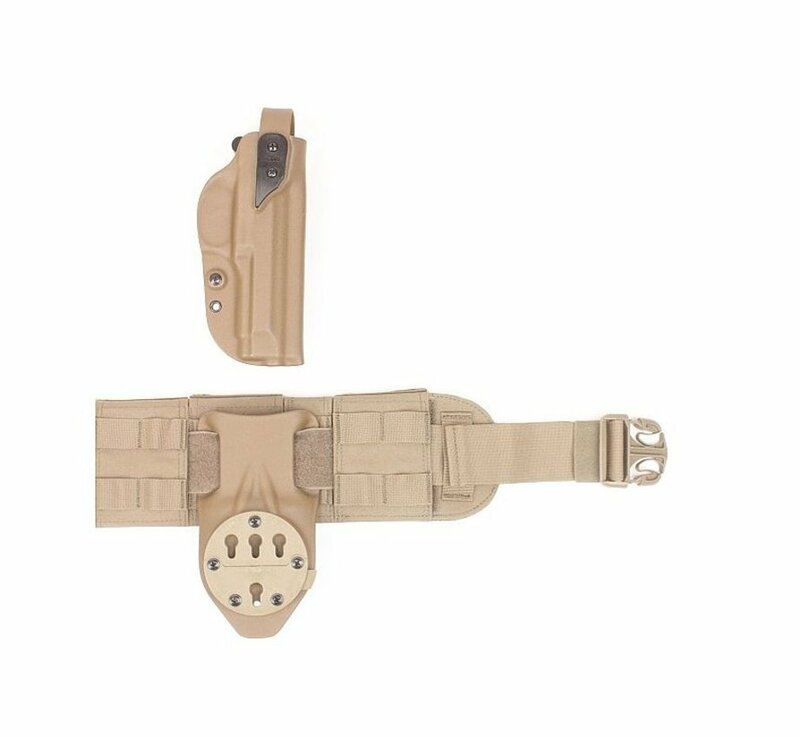 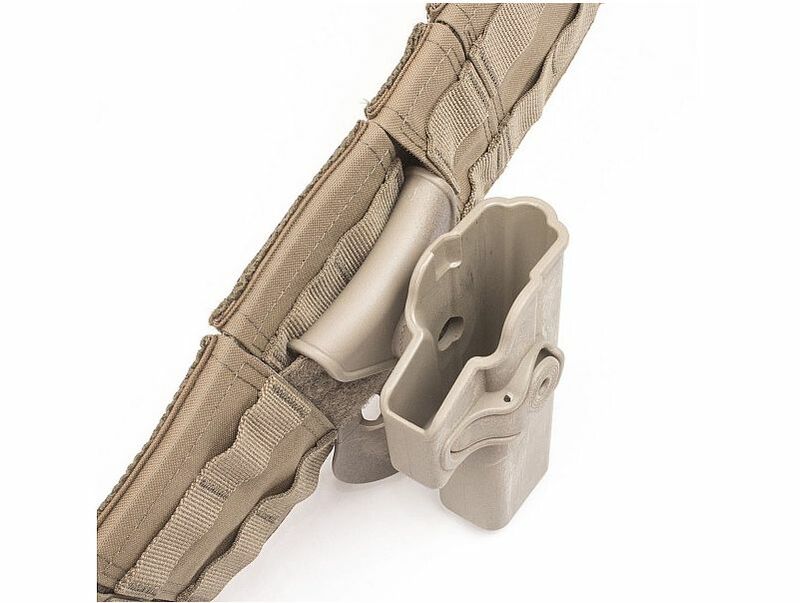 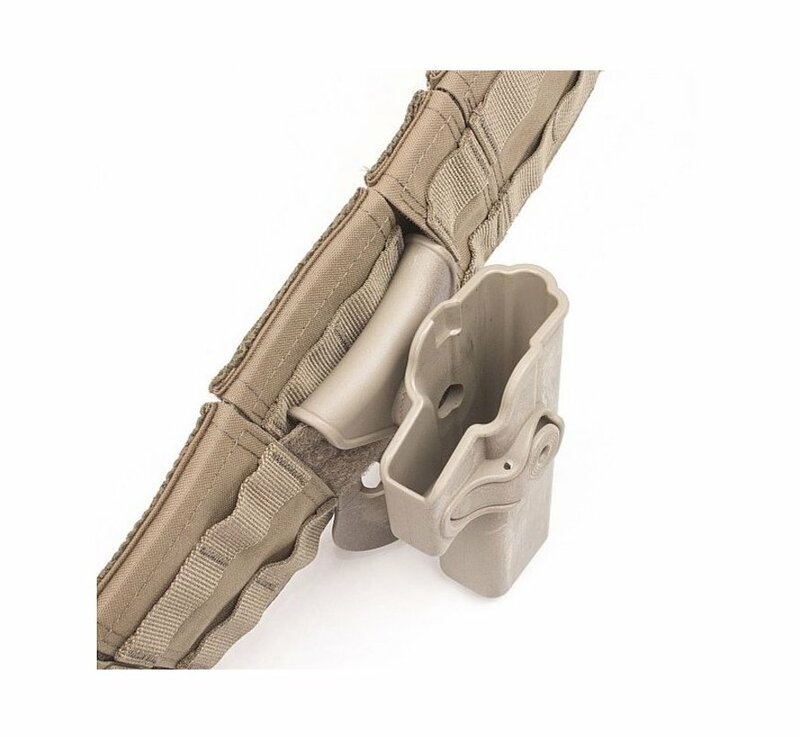 All forms of drop legs holsters, Paddle Holsters, Belt Loop Holsters and MOLLE Holster can be fitted to the Gunfighter belt which comes with a fully adjustable 50mm belt and buckle. 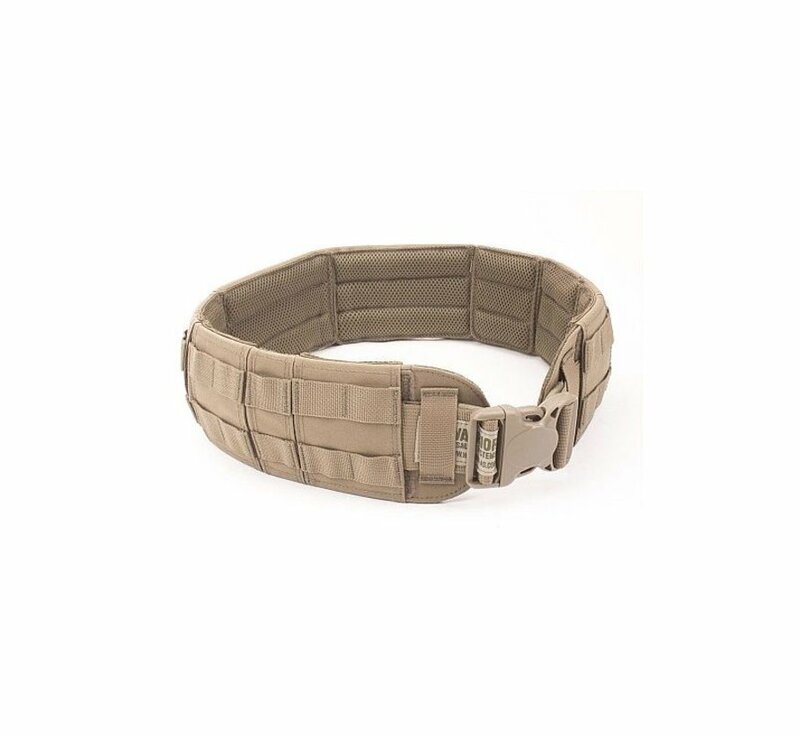 The Gunfighter is available in 3 sizes (Med, Large, XL) and will also accept a Riggers belt or Cobra belt (choose a size up from your Gunfighter belt size).